We bid you the most cordial welcome and we hope that, through this web site, we may bring you a wider panorama about our company. Founded in 1922, Evensen Dodge is America’s first independent financial advisory firm to serve governmental clients. Evensen Dodge International (EDI) began its international operations in 2000. The firm’s primary business is providing high quality, sound advice to governmental and public-private alliance clients on matters related to their capital financing and financial management needs. Through nine decades of service, we have gained international recognition as a leading financial advisory firm. The firm has been instrumental in financing more than ten-thousand (10,000) successful projects, totaling more than two-hundred billion dollars ($200,000,000,000.00), while saving clients billions of dollars in lower interest and financing costs. Though the dynamics of our work have become more complex over the years, our commitment to integrity, professionalism, and a higher level of client service remains unchanged. Exclusively in the financial advisory business, the firm has experience in virtually every area in which governments plan and conduct financings. We provide services to federal and national governments, departments, agencies, authorities, utilities, special districts, public-private alliances and various governmental subdivisions. Assuring the highest level of independence and objectivity, Evensen Dodge International is internally owned and has no ownership relationships with commercial banks, underwriters, or securities dealers. 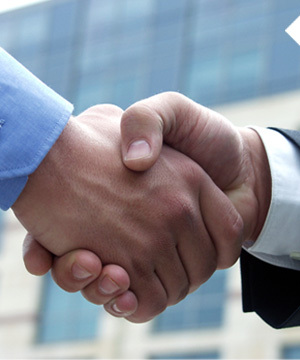 The firm represents only our client’s position in the financial transaction. EDI and each member of its professional staff pledges to continue the traditions of excellence, professionalism and dedication upon which the firm has been built.